The question of whether you should train with muscle soreness or not is one that often comes through my inbox. The typical advice is to wait until you’re not sore to train that muscle again. However, is this really the case? Check out this awesome article on the subject from my friend natural bodybuilder Nick Nilsson. The answer, as you will see, may surprise you. Training With Muscle Soreness – Should You Do It? And Can It Actually Help You Get BETTER Results? It’s safe to say that muscle soreness is something EVERY trainer has experienced at some point in their career. Severity of muscle soreness (known as Delayed Onset Muscle Soreness or DOMS for short) can range from mild discomfort when you move to the point of being almost crippling. One of the most frequent questions I am asked is “should you train when your muscles are still sore?” The answer is not quite as simple as some people make it out to be, though. Many trainers will tell you “if the muscle is still sore, don’t train it.” And, in truth, for many people that’s the safest answer. However, by NOT training when you’re sore, you could actually be missing out on results AND slowing down your recovery. Muscle soreness is basically damage to the muscle fibers as a result of your bodybuilding training. Without going into great detail on how it happens and how the recovery process occurs (which is beyond the scope of this article), muscle soreness is your body telling you that it’s in need of repair. Now, if you’ve never trained a muscle hard two days in a row or trained it while it was still quite sore, you’re going to be in for a shock at how unique a stimulus it can actually be. Sure there are arguments against doing that, e.g. the muscle hasn’t fully recovered and you’ll be tearing it down even more. If you train the muscle hard once, you’ll get a good growth stimulus. Your body immediately starts sending nutrients to the damaged area and starts rebuilding. When the muscle is fully recovered and is no longer sore, you train the muscle again and restart the process. This is the standard way of training and it usually means directly training a muscle twice a week with at least 2 or 3 days in between sessions for that specific muscle. In the next scenario, you train the muscle hard then the next day, train it hard again. Recovery is nowhere near complete and the muscle is sore when you train it on the second day. Here’s the key…if you think about it, would the body see this second scenario as a greater threat to its survival? Would the body then ramp up its recovery processes to try and prepare for the next challenge, which it (from its recent experience of being hit with the same hard stimulus two days in a row) thinks is coming again very soon? In my experience, this absolutely happens. The body’s response to training is a very simple “stimulus-response” system, but your body is also fully capable of sending more resources where more resources are perceived as being needed. When you eat, your body sends more blood to the digestive system. Your brain doesn’t tell it to do that, it just happens. When you get hot, your body produces perspiration. The same thing happens with training. For example, when you train your biceps, your body sends blood and nutrients to the biceps for recovery. It doesn’t send it to the calves if the calves haven’t been worked. If you train your biceps hard two days in a row, your body sees this as a big threat to the biceps and will ramp up recovery processes to specifically protect the biceps. If the biceps are still sore… VERY big threat! THEN you allow the biceps to recover. The two days of training has built much greater recovery momentum, getting more results out of your training. Here’s yet another advantage to training a muscle when it’s still sore…even if you don’t train it hard, you will still be sending blood (and therefore nutrients) to that muscle, helping it to recover faster than if you didn’t train it at all. So even if you’re not up for a hard workout for a sore muscle, even giving it some light to moderate work will still help with recovery. Now, I’ve talked about training a muscle two days in a row…what about when you’re scheduled to train it a couple of days later and it’s still sore at that point? The same concepts apply – your body will STILL perceive that as a greater threat and increase recovery. The only times I would NOT recommend training when sore is if the soreness causes you to use poor form in your exercises or if the soreness is so bad that it makes the exercises too painful to do. For instance, if you just did deadlifts for the first time in your life and the next day, you have a VERY hard time sitting down without falling down into the seat, you may want to wait a bit before doing deadlifts again. Your form will change because of the pain and it could lead to injury. But if your muscles are a bit stiff or sore, go ahead and train them. Your body will ramp up your recovery processes in response. How Do I Know If Training the Body With This Frequency Is Effective? I’ll give the best example I know (WARNING – if you’re a proponent of high-intensity, very infrequent training, this will make you shiver in your boots!). This is NOT a program I would recommend lightly to anyone because at this time, being on vacation from work, I was basically only eating, sleeping and training…no stress, no extraneous activity. This was one of the most extraordinary programs I ever put myself on, not only in terms of workload but results as well. It involved doing total body workouts twice a day, six days a week. This meant 12 total-body workouts per week, increasing the workload every week. I used partial training, negative training, low reps and high reps. For the entire first week, I was EXTREMELY sore but I stuck with it and trained everything twice a day, no matter how sore I was. After 3 weeks of this training, I backed off, still doing 12 training sessions per week but splitting the body in half – I was still working my whole body every single day and doing partials and negatives. During the back-off phase, my recovery processes were practically unstoppable! NOTHING I did could make me sore (and believe me, I tried!) and my strength and muscle mass shot way up. Conventional wisdom would believe I would be completely totaled at the end of a program like this, overtrained, small and weak. My results? In 6 weeks, I went from 208 lbs in bodyweight to 228 lbs. And as an example in strength gain, I went from a 295 bench press for 1 rep to 350 lbs for 1 rep. This is a VERY extreme example of training through muscle soreness and using maximum workout frequency. The take-home lesson from it is this: you CAN get great results by training even when you’re sore. Your body will react to the stress and ramp up recovery in response. THIS is where training while sore really comes into play. It’s an extreme training technique that is desigend to create a HUGE emergency response in your body. This is the week users have reported gains of 5 to 7 lbs in bodyweight and tremendous increases in strength. Conventional wisdom would say you should get smaller and weaker…in THIS program, you will actually GAIN strength over the course of most of this week and it just SHOOTS up later as you recover from the training. My good friend and natural bodybuilding champion Hugo Rivera and I have put together a killer DEAL for you. (You can thank Hugo as he REALLY twisted my arm to do this). 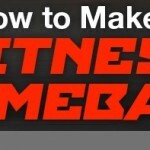 On Tuesday, July 10th at 12:01am, you will be able to get the full Muscle Explosion program for $40 DOLLARS OFF the already discounted regular price PLUS SOME SPECIAL EXCLUSIVE BONUSES THAT ARE TO BE ANNOUNCED. This special deal will only be available for a few days, though, so definitely keep your eyes peeled for the announcement. As you will see, Muscle Explosion can help you SHATTER your “genetic” limitations by changing and improving your physiology through scientifically-based (and somewhat insane) strategic training and eating. Stay tuned for Tuesday so that you can REBUILD your body for MASS with Muscle Explosion! Leave a Comment with Facebook for Natural Bodybuilding FAQ: Should You Train With Muscle Soreness?